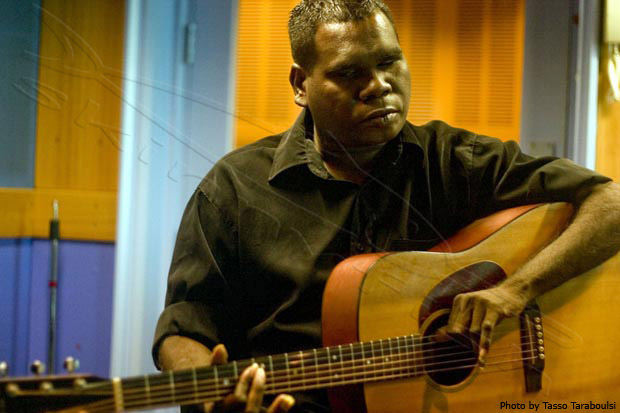 Geoffrey Gurrumul Yunupingu’s album, Gurrumul, is one of the most significant Australian recordings of recent times. Blind since birth, he plays right-handed strung guitars left handed and sings with a clear, pure voice in Gälpu, Gumatj, Djambarrpuynu and English. Also known as Gudjuk, he is from the Gumatj nation, his mother from the Gälpu nation, first nations peoples from North East Arnhemland. Posted in Australia, Culture, God-spotting, Quotable.Tagged God, guitar, Gurrumul, Music, quotes.